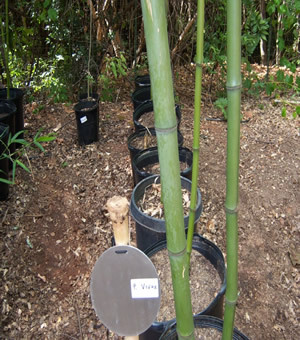 Vivax Bamboo belongs to the Phyllostachys family of bamboo. 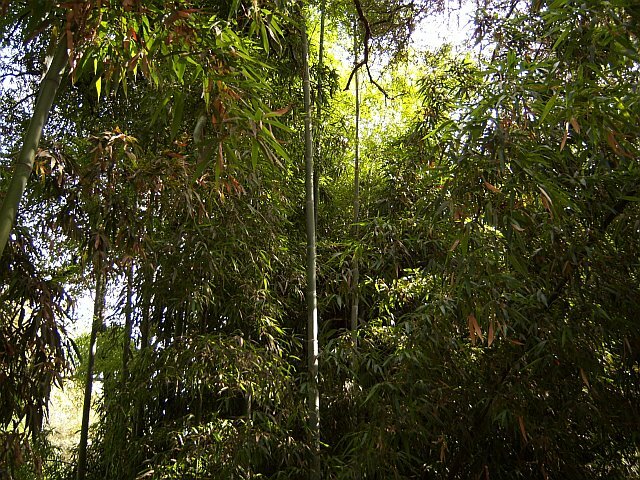 It is one of the largest growing species of hardy bamboo in the world. The culms can reach heights of 70' and a diameter of 5". Vivax is similar to Japanese Timber in many ways, however the culm walls tend to be slightly thinner. The culms will reach a very large size in a short amount of time. It is cold hardy to -5 degrees Fahrenheit, more than any other large timber variety. It is sought after for its rapid growth and viability in colder temperatures. It is a running bamboo, which means that it is invasive by nature. It can send rhizomes up to 20 feet in any direction of the main plant in a single growing season. These will have to be contained if a shoot pops up in an undesirable location. Learn more about Vivax Bamboo here.